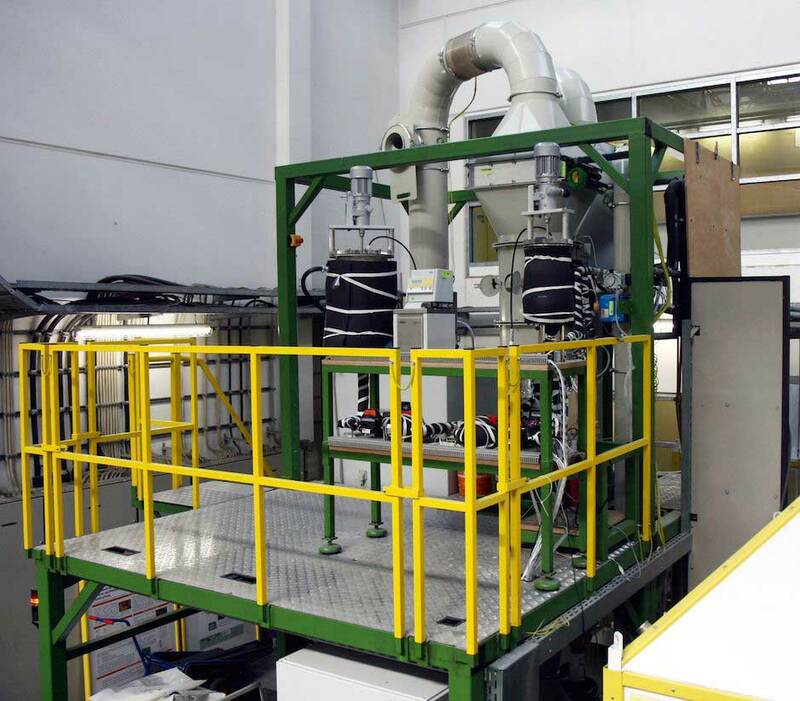 By means of a spray process, the spray solidification (spray cooling), we create matrix particles from 10 µm to 100 µm. The starting material, which could be liquids or finely ground powders, is either dissolved, emulsified or suspended in a molten substrate. We favor renewable raw materials such as various fats or waxes as substrates. By adding further additives into the molten mass, certain characteristics of the microspheres can be regulated, such as a controlled release of the active ingredients or a UV protection. After the mixing process the melt is sprayed into a cooled tower. The droplets quickly solidify in the cold airflow and microspheres emerge that are eventually separated from the airflow by a cyclone and are finally collected in containers. With our spraying plants for batch operation or continuous production, we can provide quantities varying from 100 g up to several tons. The production of smallest quantities especially concerns research and development of new products, if only few grams of starting material can be provided but several particle batches are to be produced. Larger quantities in kilogram scale are available as toll manufacture. Agricultural Chemistry: Agrolytix has expertise in the development of biological plant protection products of several years.